website The Navajo Community Planners, Inc. (NCPI) is currently accepting applications for candidates to seek election to its board. click here NCPI is the official community planning group for the Navajo neighborhoods of Grantville, Allied Gardens, Del Cerro and San Carlos. The board serves an advisory role for the city of San Diego Planning Commission by reviewing and providing recommendation on land use issues in the area. cheap generic viagra mail order pharmacy The election for board members will be held March 13. The deadline for applications is Feb. 13. In order to eligible, applicants must be a resident, business owner or property owner in the Navajo area and must provide documentation that he or she has attended at least one of the prior 12 NCPI meetings. buy now The next NCPI meeting will be held on Feb. 13. For more information, send inquiries to navajoplanners@cox.net and visit navajoplanners.org. On Jan. 19, Dan Smith, president of El Dorado Properties in Grantville, held a cleanup of trash and graffiti. He was joined by realtor Robert Weichelt, who provided trash bags. The main crew came from a motivated group of elders from the Church of Latter-Day Saints in Allied Gardens. Don Teemsma, owner of Ideal Plumbing, arranged for the LDS elders to participate. Armed with paper picker uppers and trash bags, the crew amassed a total of 34 bags of trash, plus an abandoned shopping cart and a large wooden pallet in just 90 minutes. The area cleanup included Alvarado Canyon Road, Mission Gorge Place and a portion of Mission Gorge Road. 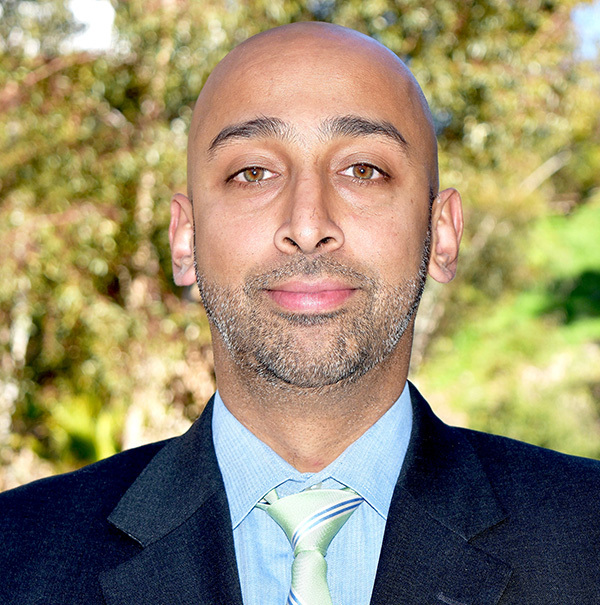 Junior Achievement of San Diego County (JA), located in Grantville, is delighted to announce Siddhartha “Sidd” Vivek has joined the organization as its new president and chief executive officer. Vivek began his new leadership role on Jan. 21, succeeding interim president Steve Rowe. Vivek held various positions over the past 11 years at the YMCA of San Diego County. He most recently served as director of strategic partnerships, which included oversight of fundraising at one of the largest Y’s in Southern California. In this role, he led efforts to diversify and expand outreach programming by growing revenue by nearly 30 percent over the past four years. Prior to joining the YMCA, Vivek held multiple leadership positions in Washington, D.C. focusing on education policy and the intersection of government, industry, and community-based organizations. Last year, JA celebrated a historic milestone of reaching 1 million students since the branch opened in 1950. JA’s mission is to get K-12 San Diego students “real world ready” by showing them how to get a job, start a business and how to manage their money. In 2018, JA impacted 66,724 students with the popular mini-city, the McGrath Family JA BizTown, the nonprofit’s newest high-tech budgeting center for teens, Mission Fed JA Finance Park, and with the hands-on K-12 in-class curriculum. The Allied Gardens Pool reopened on Jan. 13. The pool regularly closes during part of the winter. Pool hours for lap swim are 6:30-9 a.m. and 2-7 p.m. on Mondays, Wednesdays and Fridays; noon-7 p.m. on Tuesdays and Thursdays; 11 a.m.-3 p.m. Saturdays; and noon-3 p.m. Sundays. Recreational swim hours are 2-3:30 p.m. Mondays, Wednesdays and Fridays; noon-3:30 p.m. Tuesdays and Thursdays; 11 a.m.-3 p.m. Saturdays; and noon-3:30 p.m. Sundays. The pool also offers evening programs like youth swim team, youth water polo and aquatic fitness. Register at SDRecConnect.com. Swim lessons will start in March. For more information, call the pool at 619-235-1143. In his 2019 State of the City address, Mayor Kevin L. Faulconer stressed the importance of rising beyond political division to solve problems that have long been cumulating in the San Diego region. The mayor touched on key issues including homelessness, climate change, and city infrastructure. He also touted some of the programs he has helped institute such as the Clean SD program which has removed more than 2,700 tons of trash from the San Diego River and the city’s urban canyons. He outlined several projects with the intention of protecting the region’s energy, water, and natural resources. These included the creation of a new power division to supply renewable energy to residents and businesses, connecting the public trolley system to the airport, and constructing an immense water-recycling facility with the goal of delivering one-third of the city’s water by 2035. Faulconer has invited other regional public and business leaders to join him in planning and executing many of these goals. Bill responds to county’s handling of hep. Following a state audit which found the City of San Diego’s response to the recent hepatitis A outbreak inadequate, Assemblymember Todd Gloria of the 78th district announced he had drafted new legislation targeting future potential outbreaks. The new bill, titled AB 262, would establish specified duties for local governments in the event of outbreak of a communicable disease. It would require public health officials to inform cities in their jurisdiction about outbreaks, as well as make relevant information about outbreaks available within affected jurisdictions. The state audit revealed multiple areas lacking in county’s response following the declaration of a public health emergency in August 2017. County officials failed to communicate location date concerning the concentration of outbreak cases to the city. As well, state auditors found that despite talks between the county and city taking place in August, sanitary measures were not implemented until later in September. By April of 2018, the county had reported a total of 587 related cases, with 402 hospitalizations and 20 deaths caused by the outbreak. AB 262 was joint-authored by local assemblymembers Lorena Gonzalez and Tasha Boeren-Hovath. The bill is pending its referral to the state assembly committee for review. United Way of San Diego County and 2-1-1 San Diego are partnering to leverage funds granted by the California Department of Community Services Development (CSD), to promote the California Earned Income Tax Credit (CalEITC) and expand free tax preparation services. The two nonprofits are partnering with several other nonprofit organizations to help low- and moderate-income families prepare and file their 2018 taxes for free, and potentially add thousands of dollars to their refunds. The two nonprofit organizations say their aim is to raise awareness and usage of the more than 60 Volunteer Income Tax Assistance (VITA) sites countywide, as well as increase overall claims for state and federal EITCs that are available to eligible workers. In 2018 (tax year 2017), United Way of San Diego County, 2-1-1 San Diego and many other San Diego County Earned Income Tax Credit (EITC) Coalition partners, supported and provided the public with access to 630 volunteers who provided free tax assistance to 31,092 residents and brought more than $40 million in federal and state refunds back to working families in San Diego communities – largely due to Earned Income Tax Credits. To make an appointment for free tax preparation services, eligible families can call 2-1-1 or visit myfreetaxes.org. On Feb. 6, Mayor Kevin L. Faulconer announced that the city of San Diego has been ranked among the top 20 large cities to live and work as a moviemaker according to MovieMaker Magazine, the nation’s leading resource on the art and business of making movies and the world’s most widely read independent film magazine. The city’s film office has been able to put San Diego on the filmmaking map through a streamlined permitting process, online directories of local crews, national and international advertising campaigns and participation in industry events. As a top film-friendly city in the nation, San Diego continues to draw moviemakers to the region. In 2018, the city welcomed the local production for the “Top Gun” sequel, “Top Gun: Maverick,” and major studios and networks like Paramount Pictures, VICE, E! Network, Comedy Central, HBO and National Geographic all spent time filming in San Diego. In 2018, 1,600 filming dates were permitted on city public property. To rank each city, MovieMaker Magazine looked at film activity, infrastructure, population and geographic size, state and local tax incentive programs and ease of movement and traffic. San Diego was included in the Big City division which included top U.S. and Canadian cities. SDCCU Stadium will remain SDCCU Stadium following a vote by City Council on Feb. 5 that extends naming rights for the property to San Diego County Credit Union. The naming rights agreement for SDCCU Stadium, which was made between the City of San Diego and Fox Sports College Properties, extends through December 2020. “As one of the most recognizable brands in San Diego, there’s no question that SDCCU understands the importance of being an influential and responsible corporate citizen within the communities where they do business. SDCCU has been a valuable partner and we are ecstatic to continue to work with them,” said Duke Little, vice president and general manager of Fox Sports College Properties in a press release. The SDCCU Super Shred Event and SDCCU Holiday Bowl are just two of many major events planned for SDCCU Stadium. The stadium serves as the home stadium for San Diego State University Aztecs football home games and the San Diego Fleet, one of eight teams playing in the all new Alliance of American Football league. For a complete list of events, visit sandiego.gov/stadium. SDCCU Stadium is a multi-purpose stadium. With a seating capacity of 70,561, SDCCU Stadium is located in the heart of Mission Valley. The stadium has hosted three Super Bowl games and has also hosted the 1978 and 1992 Major League Baseball All-Star Games, the 1996 and 1998 National League Division Series, the 1984 and 1998 National League Championship Series, and the 1984 and 1998 World Series. It is the only stadium ever to host both the Super Bowl and the World Series in the same year (1998).